If you’re planning a summertime getaway weekend in the mountains near Asheville, NC, consider making it a long weekend and arrive on Thursday…there’s a lot to see and do around here in between taking that all-important vacation siesta or lounging at the Inn on Mill Creek B&B! One activity that’s sure to entertain is the Black Mountain Recreation & Parks’ Park Rhythms Summer Concert Series at Lake Tomahawk Park in the charming town of Black Mountain. The Thursday evening concert series is celebrating its 20th season in 2015, and they have a great line-up of bands; the music starts at 7pm. Local restaurants are also represented during Park Rhythms — a different vendor each week — so you also have the chance to sample delicious fare from our local eateries and catering companies. 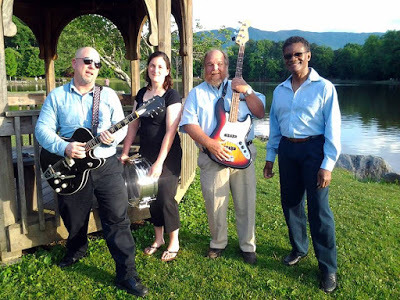 This entry was posted in Black Mountain Festivals and Events, Local Music and tagged Black Mountain, festivals and special events, live music, Summer by Inn on Mill Creek. Bookmark the permalink.